If you’ve been around the online business world for a hot minute, you’ll see loads of entrepreneurs talking about “their why”. They are looking for it, finding it, posting about it in Facebook groups, and hashtagging it all over Instagram. But unfortunately, the vast majority are setting themselves up to fail. First, let’s be clear; I’m a fan of Simon Sinek. I frequently recommend his Ted Talk, I’m currently reading his book and I participated in the beta run of his course on finding your why. Knowing “why” is super important in branding a business. 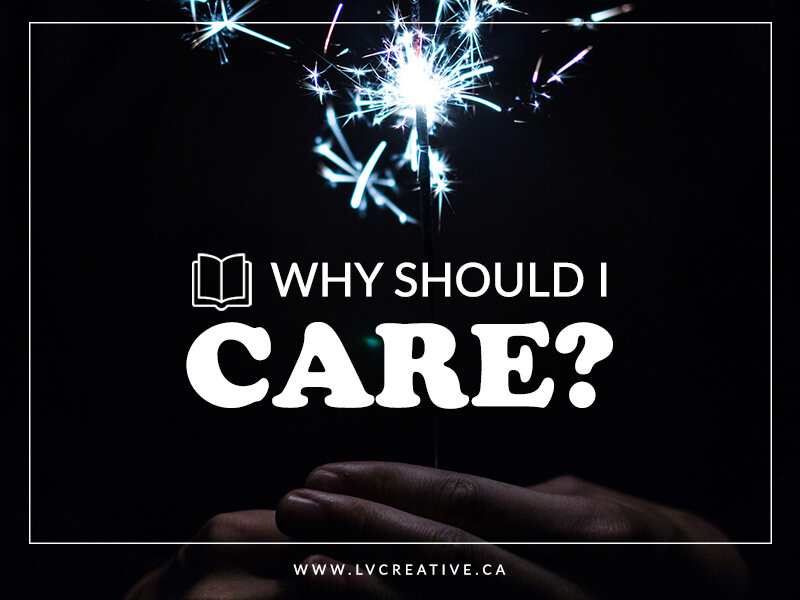 Your why is a key piece of setting your business apart, articulating what you stand for, and giving your perfect people a place to connect. The problem I see is that most entrepreneurs are getting it wrong. Somewhere along the line, people heard that the “why” has nothing to do with making money (true) and decided it meant “something noble” (not true). Your why doesn’t tell your people what’s noble about you. It tells them why they should care. If you’re in the process of determining your why, and you’re not sure if you’ve quite got it right, here are some tests to run. Is it inclusive of your perfect people? A why is a rallying cry. It’s a stake in the ground that tells your people that you believe something so strongly, that it will permeate everything you do in your business. It tells them that if they believe this too, this is a place they belong. The why turns vaguely interested people into brand evangelists. A common mistake I see is, “My children are my why.” No. Your children are your priority. They may be the reason you get up in the morning, the reason you’ve structured your business a certain way. They might be your personal why, but they can’t be your brand’s why. I have children. I love my children. I think they are some of the most amazing human beings to ever walk the planet. But I also know that my perfect people don’t care about my kids. I can’t use my children as a why because it’s not something we can all get behind. Often, I see entrepreneurs not going far enough. “My why is to empower women.” Okaaaayyyy. But what does that mean? Are your perfect people women who don’t feel empowered? Do your perfect people also want to empower women? And how are you going about that? Why have you chosen this? What does “empower” mean to you? How are you defining “women” – that’s a big, BIG group. This seems obvious and the immediate reaction is to say of course it’s true! But just double check. Are you returning to your why every time you create a new offering? Are you ensuring your social media posts reflect the character of your why? Does your customer service enforce the statement you’re hanging your brand on? The worst thing a brand can do is break a promise, so it’s crucial to align what you say with what you do. Ask yourself these questions; maybe you’ll find that your why isn’t what you thought it was. That’s okay! Refining is an important part of brand building. Uncovering your why is an important step in creating a stand alone brand. I truly believe that everyone knows their unique why, they just may not have articulated it properly yet. Run your why through these tests and see if it holds up. You might discover that with a few tweaks, your why can become the star of your brand that it’s meant to be. What’s your why? Has it worked from the beginning or are you tweaking it based on one of these steps. Tell me in the comments! Woo! Can’t wait to hear what you’re up to!